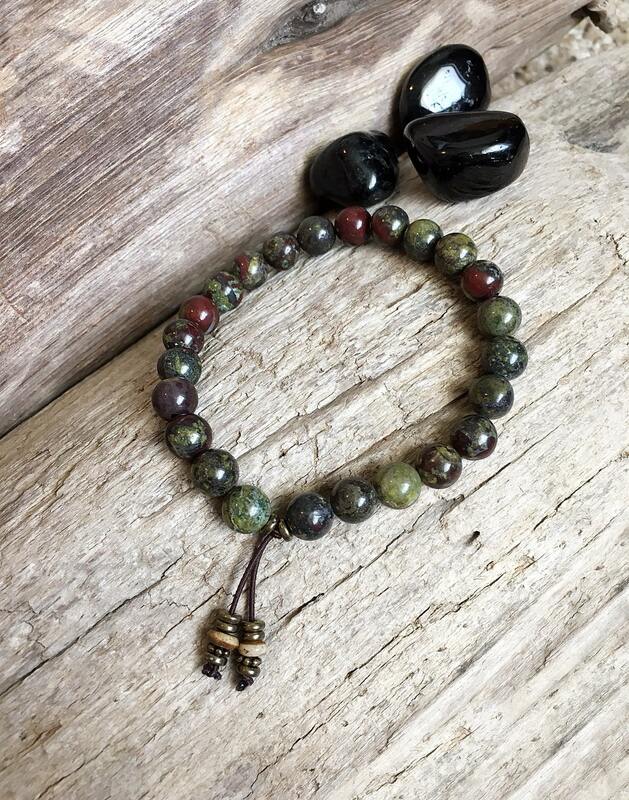 The Men’s Power Mala Bracelet features luxury Dragons Blood Jasper gemstones to help enhance your life force, build confidence and help you achieve goals. 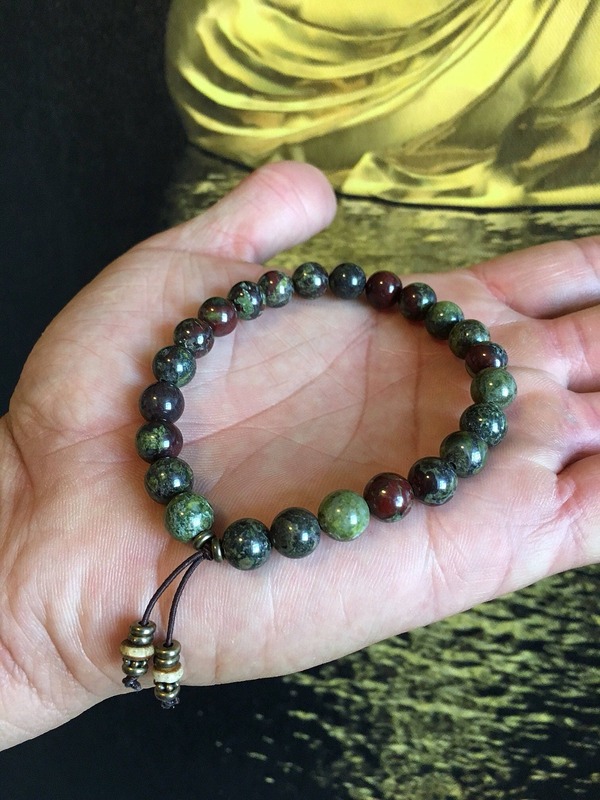 Although given the trade name of "Dragons Blood Jasper" this unusual stone is actually a rare combination of Epidote and Piemontite, mined in South Africa. It activates all chakras and helps you tap into the "real you", dissolving false images and promoting self-care and healing. 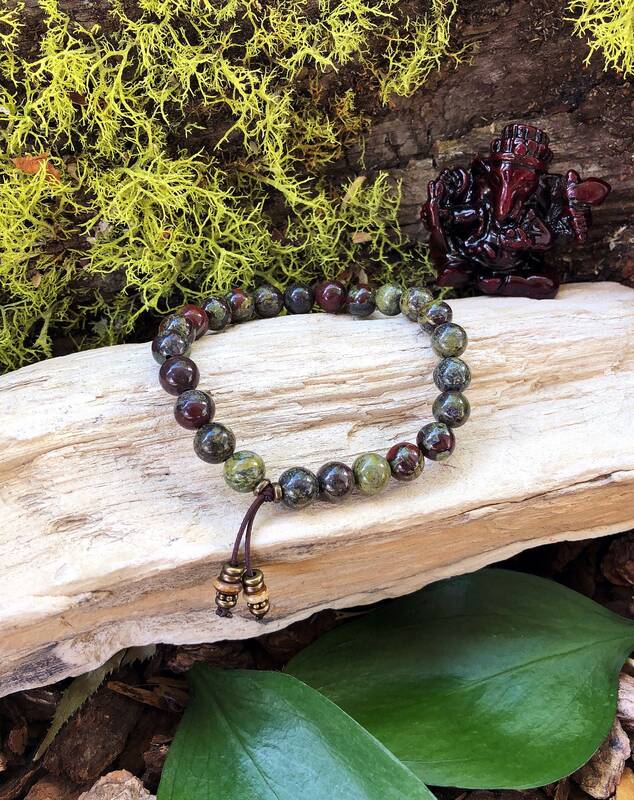 Blood Jasper is uniquely capable of bringing more energy into the auric field and the physical body. It will stimulate strength, endurance, courage, confidence and vitality, and can help give you an overall sense of balance. Blood Jasper is also known to bring money to the person wearing it. I bought this beautiful piece for my gorgeous husband and he wears it all the time. Each piece that Brenda creates is unique and exquisite. You can feel the energy and the care she puts in each one, simply wonderful! I have several of her pieces and encourage you to just let your heart tell you which is the right one; the one you are drawn to.